Worldwide icon-chevron-right Europe icon-chevron-right Spain icon-chevron-right Girona icon-chevron-right Crep de Què? 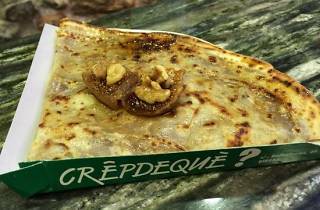 For breakfast, lunch or dinner, a crêpe is always welcome. 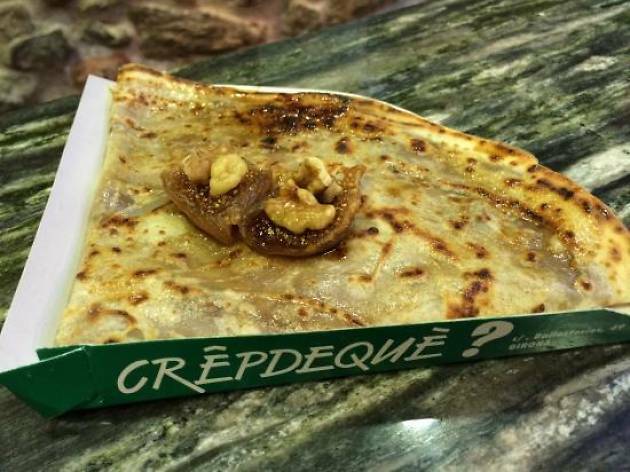 Crep de Què? is a popular restaurant that will tempt anybody who passes by, and regardless of whether you prefer sweet or savoury crêpes, you’re bound to return more than once. If you feel like opting for more traditional flavours, we suggest going for the 'escalivada' (grilled vegetables) or spinach ones. Bear in mind that the place is tiny inside, and there are usually queues of hungry punters outside – so to avoid waiting, the best thing is to go during the week. They also have crêpes for coeliacs and those who are lactose intolerant.